On this charming halter style gown, the bodice is completely adorned with a delicate yet elaborate hand-embroidered design with accent beadwork. 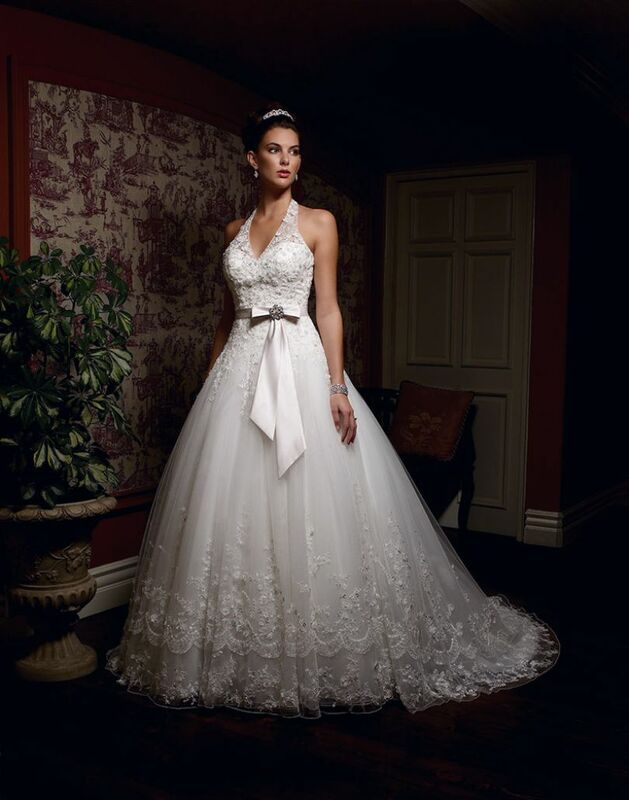 This same design is also added to the tulle skirt and trails down the semi cathedral length train. The dropped waistline, sheer halter neckline and gathers at the skirt add to the delightful beauty of this truly gorgeous gown.